Restaurant business is mainly meant for those who are good at art of cooking and have decided to go commercial. So, if you’re such a person and you’re living in Nigeria; you’re very lucky! 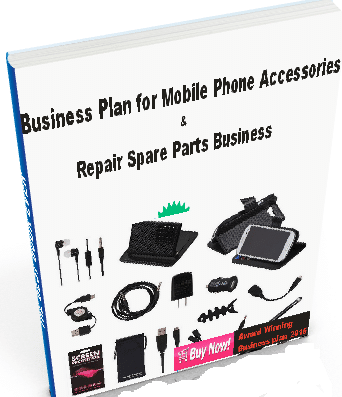 Here is detailed information on how to start restaurant business. So, if you’re actually in interested in starting a modern Buka restaurant or any type of restaurant in Nigeria, this article is designed to show you how to set up and run a restaurant business in any locality in Nigeria. A restaurant is a place where you eat a meal and pay for it. In restaurants, food is usually served at your table by a waiter or waitress. Many restaurants also offer take-out and food delivery services while some others offer only take-out. The restaurant business in Nigeria and many other places around the world is one of the most lucrative business ventures. It is one of those businesses that will always generate huge profit if it is properly managed. Our 17 step guide provides helpful tips and resources to help you set up and operate a new restaurant. But, before I go into this step guide; let’s explores the different kinds of restaurants you can set up and some of the factors you need to consider while starting the new restaurant. Fast food restaurants – In this kind of restaurant, the emphasis is on the speed of service. This kind of restaurant range from small-scale street vendors with food carts to multi-billion dollar corporations. They sell food that can be taken away or eaten at tables provided within few minutes. Crunchies and Mr. Biggs are good examples. Barbecue restaurant – it include; chicken barbecue, meat barbecue, fish pepper soup etc. Food are prepare here in barbecue-like style-smoke and roasted food. Quick Service Restaurants – They are fondly called as Bukas and mama put. The speed of Service similar to that of fast food but their menus is more flexible and cheaper than fast foods. They mostly found around street corners, parks and factory sites. Casual Dining Restaurants – these kinds of restaurants are more advanced than fast foods, they have flexible menus and a relax atmosphere where customers can take their meals at comfort. They hardly render take away services unlike Fast food restaurants. Fine Dining Restaurants – this is a high class restaurant. Our politicians eat in this kind of place. This kind of restaurant is meant for elite customers. They aim at providing unique dinner experiences similar when you’re eating at the comfort of your home. They treat their customers with dignity and respect and offer excellent menu items at affordable prices. They also provide warm and friendly services with the aid of professional waiters and staff to ensure absolute customer satisfaction. They also provide warm and friendly services with the aid of professional waiters and staff to ensure absolute customer satisfaction. Utazi which is located at etim inyang crescent, Victoria Island Lagos is a classical example of a fine dining restaurant. Creativity should be built into your job description as restaurant manager. You have to be ready to adapt and able to commit yourself to fixing problems all day long. Learn basic day-to-day hospitality management. You should be ready to learn by doing and constantly adapting to the needs that arises. At the beginning you will be in survival mode but when that wore off you will regain your ground. Focus on keeping the morale up and keeping the concept going. Your vision for the business at its roots should be about people, conviviality and good humour. Your product and what you want to sell will be the means to achieve that. Study the market: This is very vital when going into restaurant business. Studying the market for restaurant business can take several months but it is normal. This will help you avoid necessary costly mistakes. Register your restaurant name: To help you build brand and stand out among your competitors, you need to register you restaurant name. In Nigeria, Corporate Affairs Commission is in charge of business name registration and you can register your business name online. Put down detailed plan of your restaurant: Your business plan will serve as the road map from which your new restaurant develops. No matter how much thought you’ve put into your concept or how many trusted friends that have assured you of business greatness, you absolutely must write a business plan. Find out your target customers: Who is going to eat at your restaurant? What do they do for a living, how old are they, and what’s their average income? These are questions you need to answer before starting a restaurant business. Your restaurant business will flourish very if you know your target customer and niche market well. Find a suitable Location for your restaurant: A good location is a highly densely populated and easily accessible part of your locality. Of course, you should know that it best to site the restaurant near colleges, motor parks, institutions and work offices complex. These, you have high number of categories of people that will patronize you. Find out restaurant’s tax rate in your locality and know if you will be able cope with it. There are number of compulsory taxes for all businesses in Nigeria, for example Companies Income Tax, Education Tax, Value Added Tax, etc. However, in certain States in Nigeria there are additional taxes which have been imposed on restaurants. For example in Lagos, the Lagos State Government imposes a sales/consumption tax of 5% on services provided in restaurants within the State. Before setting up a restaurant therefore it is important that you get a lawyer who is familiar with the tax implications on your business and can ensure that you do not fall foul of the relevant laws. Obtain Restaurant Sales Permit and necessary License: In order to commence your restaurant business in Nigeria, you will need to obtain a variety of licenses and permits. In some cases, the licences you will need to obtain will be at the Local Government office, in other cases it might be at an agency of the State Government. Ensuring that you have the appropriate licences and permits is critical to your setting up of your restaurant business in Nigeria. The types of licences and permits vary by location, and so it is important that you seek out professional legal advice in the restaurant set up phase. Also, if for instance your restaurant will sell alcoholic beverages, there is a certain license that will be required. If your business will be open at night time, or potentially past midnight, there is a specific permit that will need to be obtained. Getting the right legal support is therefore critical to starting your restaurant business on the right footing from a licence and permit perspective. Come up with an estimated cost for start-up of the new restaurant: After researching, planning and deciding, you should have an idea of how much it will cost you to start up your restaurant. Gather capital for the start-up: One of the most requirements for starting restaurant business is capital. Your capital determines your business entry level – small, medium or large scale business. It is okay to start small and expand later as you gather experience and monetary returns because growth is a continuous and steady process. Create your Menu List and make it attractive: The menu is the most important touch-point of any restaurant’s brand. Your restaurant should feature daily specials and Prix Fixed Menu. Your Menu list should also include prices for each menu. You can create your menu price list by checking out what other restaurant in your locality collect for a plate of meal they serve their customers. As a new beginner in the business, the price for a plate of meal you offer may be a bit lower than what others collect for the same plate of meal to help you build a good customer base. As a chef and lover of food art, you must have your special recipes and a variable menu at a reasonable price to establish credibility and to give your restaurant an edge over others. Your menu is the life wire of your business; ask yourself why customers should keep having meals at your restaurant? If you can honestly answer this question then you are good and ready to build a lasting restaurant. Make arrangement to obtain food stuff and special condiments at regular and affordable prices by locating and connecting with people who supply you at wholesale prices. This reduces the stress of finding and purchasing some food items that may be seasonal, scarce or limited in market supply. Furnish your restaurant: Use Fresh flowers to adorn each table and the contemporary hand-sculpted brass work overhead to enhance the exquisite atmosphere of your restaurant. Employ good chefs and waiters : Employ experienced waiters and staff who are passionate and understand the need for optimum customer satisfaction in the sustenance of restaurant business. Your staff will determine to a large extent your ability to retain and capture new customers. Meticulous attention to detail and the use of the freshest seasonal ingredients and products of the finest quality should be the watchword of your chefs. Get Started with the new Restaurant: Having ensured that the above steps are correctly established; start the new restaurant right away. Establish Health and Safety standard of practices: The restaurant business is a very sensitive business; this is because restaurants are all about people eating food. You should expect that your restaurant will be subject to regular monitoring and inspections by the local government or State government to ensure that you are keeping up to the relevant health and safety standards. Inspections may cover not only the food itself, raw and prepared, but also refrigeration systems, cooking equipment, and waste dustbin. Promote your restaurant business: This is one of top priority in this business. This is because it doesn’t matter how good a chef you are or how excellent your services are if people don’t know about your restaurant. It doesn’t matter the kind of restaurant you choose to run, you need to publicize it. Use Social media platforms for excellent quick service restaurants. Traditional media is very suitable for fast foods, casual and fine dining restaurants but this is not a restriction. You create a website and make it available online and utilize the cheap advertising rates on the internet. Study your Competitors and outshine them: Finally, to succeed in this business and make it big time, you have to study your competitors and outshine them. Yes! 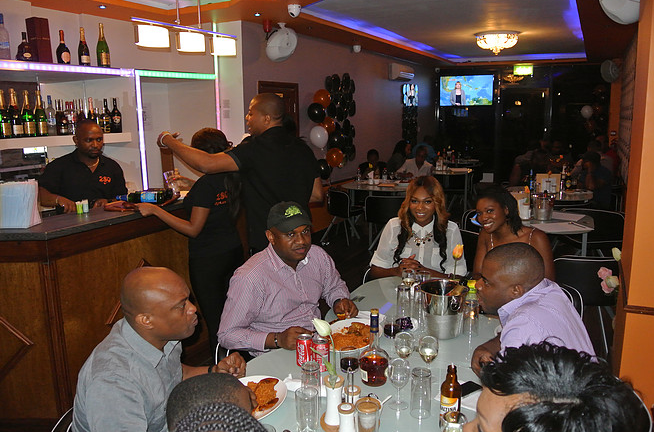 Restaurant business is one of the most profitable businesses in Nigeria. A research I conducted in Port-Harcourt, River state of Nigeria last month shows that an average medium scale restaurant makes nothing less than N25000 per day as profit. Restaurant business is one of most fast growing and flourishing business in Nigeria especially in most big cities like Lagos, Onitsha, Abuja, Port Harcourt, Aba, Enugu, etc where people are highly busy during the day and never find time to cook food themselves even at night. What Is the Cost Requirement for Starting a Restaurant? In summary, a restaurant business is profitable business anybody can do. You can start the business in a small or medium scale entry level and then end up as a large scale business enterprise. Follow the right path to the business and you will definitely succeed.